Spring Valley is a fairly large unincorporated town situated just 2 miles west of the famous Strip in Las Vegas. The population currently stands at just under 180,000 residents affording this city quite a modern and contemporary base upon which to build. With a total land area of more than 33 square miles, there is still plenty of room for the city to grow and expand. With its youthful population, excellent employment opportunities, and a quality school system, the city is a great place for singles and families alike to call home. This special area of Nevada was essentially formed after homebuilder Pardee Homes purchased the land owned by the former Stardust International Raceway. This began the start of a master planned and designed neighborhood that would help revitalize the southwest portion of the greater Las Vegas Metropolitan area. The area has grown sufficiently that the residents applied to Clark County for unincorporated town status. This request was granted in May of 1981, and the city has continued to grow ever since in. The beauty of this area of Las Vegas is that it is almost entirely residential. Residents will enjoy lush parks, great neighborhoods and an excellent school system. Work opportunities are located in nearby cities, with several strip malls being located along large boulevards that lead up to the Las Vegas Strip. For those looking at long term potential, the northern section of Spring Valley has vast amounts of rural land that is ripe for future development. From a historical perspective, there are several popular personalities and celebrities that hail from this region of Nevada. Andre Agassi and Steffi Graf, world tennis greats, still have a residential presence here, as does the owner of the Sacramento Kings. The Sultan of Brunei loves this desert area so much that he maintains a residence that he frequently visit, as does Carrot Top. For NASCAR fans, it might be fun to note that the Bush brothers (Kurt and Kyle) went to Durango High School right in the heart of Spring Valley. Other notable high school attendees include access Cerina Vincent and T. J. Laving, the famous BMS superstar. Being so close to the entertainment capital of the world means that there is always something to do in the area. You do not have to remain indoors gambling, however, to have a great time. The weather in this part of Nevada is absolutely almost year round. You and your family will enjoy mild winters, and almost perfect fall and spring, with a bit of heat thrown in for good measure in the summers. There is a great deal of nature to explore, from the Hoover Dam to the Grand Canyon. Bicyclists and hikers alike will find a great deal of trails to take part in, while families will enjoy outings to one of several parks located in the area. This area of the state has become increasingly family friendly. During the spring and summer, one can head over to one of several water parks with the kids. There are amusement parks and thrill rides located throughout the strip, and the shows alone will keep adults entertained for years without ever having a repeat performance. In short, there is plenty to do and see in this special region of America – for both kids and adults alike. The median sales price for homes throughout the two have been steadily increasing in recent month to a current high of $218,000. This equates to roughly $130 per square foot. The median rent per month in the area is quite respectable as well, currently at $1,300. This is comparable to the greater Las Vegas area. 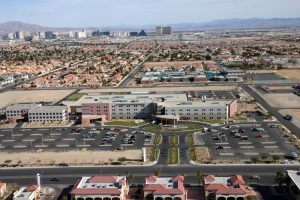 Schools in the area are plentiful, with some residents falling within the great Las Vegas District. Within the town, 40 percent of the residents are single, while some 57 percent of adults are home owners. The median age of 38 demonstrates that family friendly nature of the area, complete with a respectable median household income of $53,380. It is estimated that about 28 percent of the adult population has earned some type of college degree. With a crime rate that is comparably low in comparison to towns with a similar population in America, this is a great place to call home. Contact our office today if you are ready to receive a full and comprehensive analysis of rental and residential properties throughout the area. We will work hard to help manage your property for in a way that you will be most pleased with. Our property management team specializes in residential areas throughout Spring Valley, NV. We offer multiple services to take your rental property and convert it into reliable income. We have a thorough screening process that helps to identify the right tenants for your property. Our team works hard to keep both parties happy through effective communication, bullet proof lease agreements, and timely monthly rent collection. We offer maintenance services to enhance the property and ensure that it will retain or increase in value. We oversee everything, allowing you to sit back and relax and know that your property and your tenants are in good hands. Contact us today if you are ready to receive a comprehensive analysis of your rental property and to inquire about our Spring Valley area property management services.